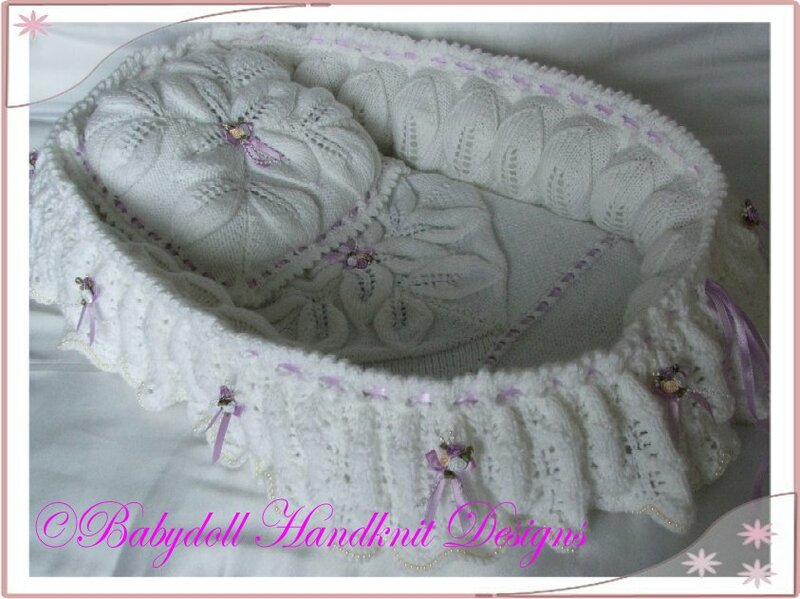 This pattern is for a beautiful frilled crib to display a full sized reborn in. It comfortably fits a 16-22 inch doll when complete. 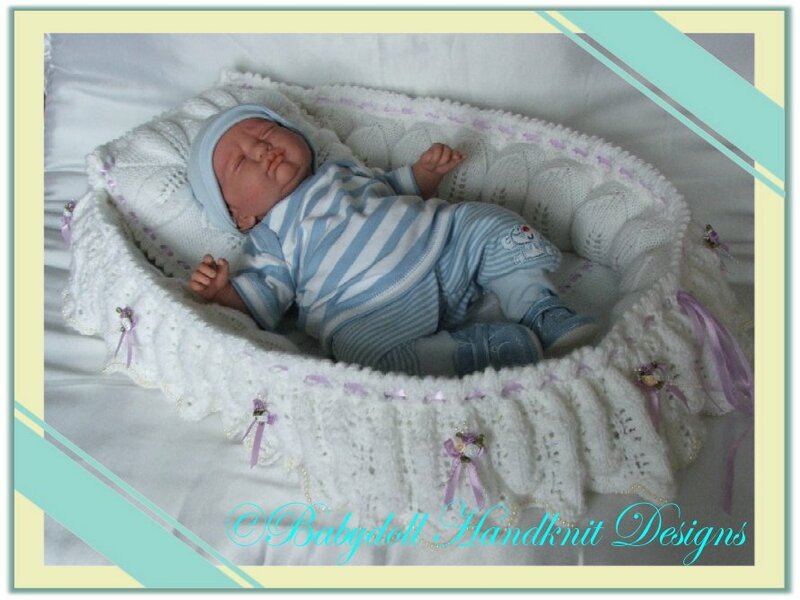 The pattern is for the crib and matching pillow and is knitted in DK yarn. 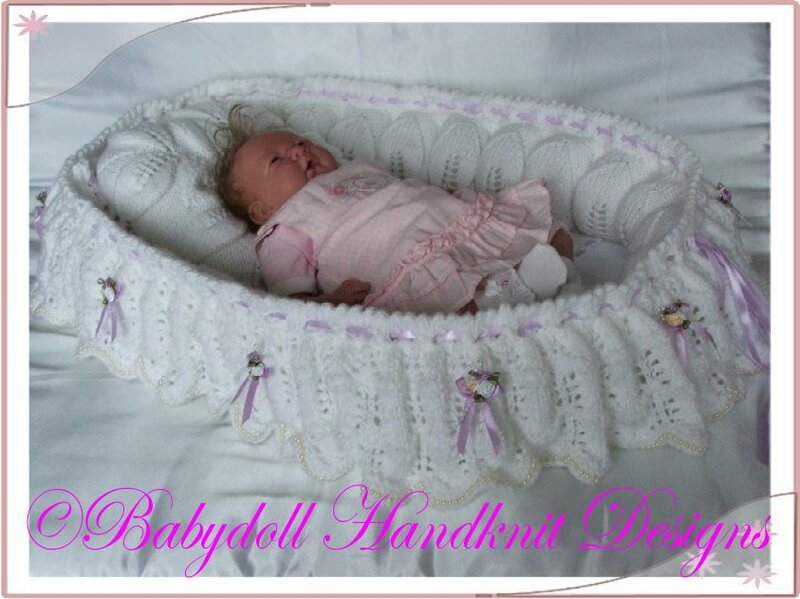 It is knitted in sections, so no huge pieces or circular needles and takes less time than you might think.